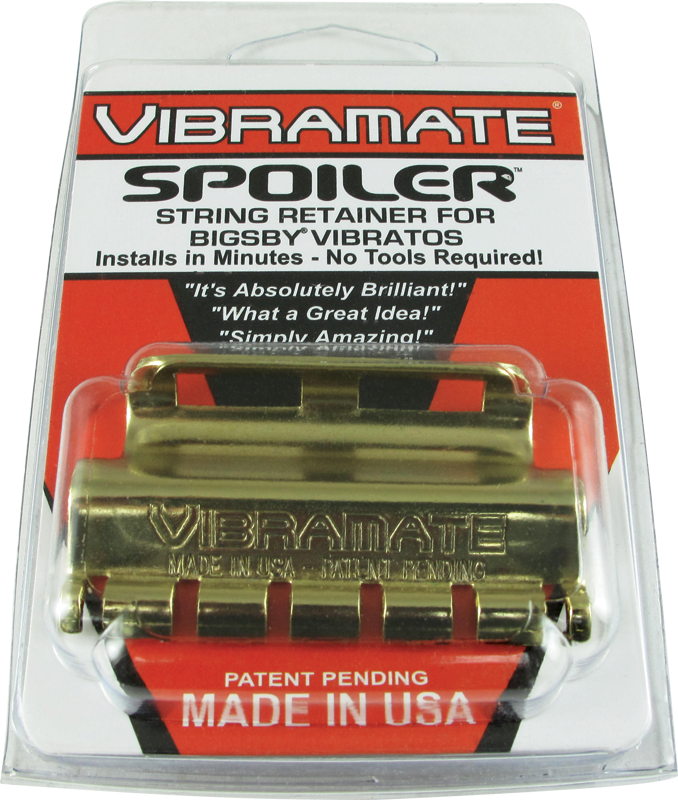 The Spoiler has a polished finish and subtle appearance designed to look like it was original equipment on your guitar and vibrato. 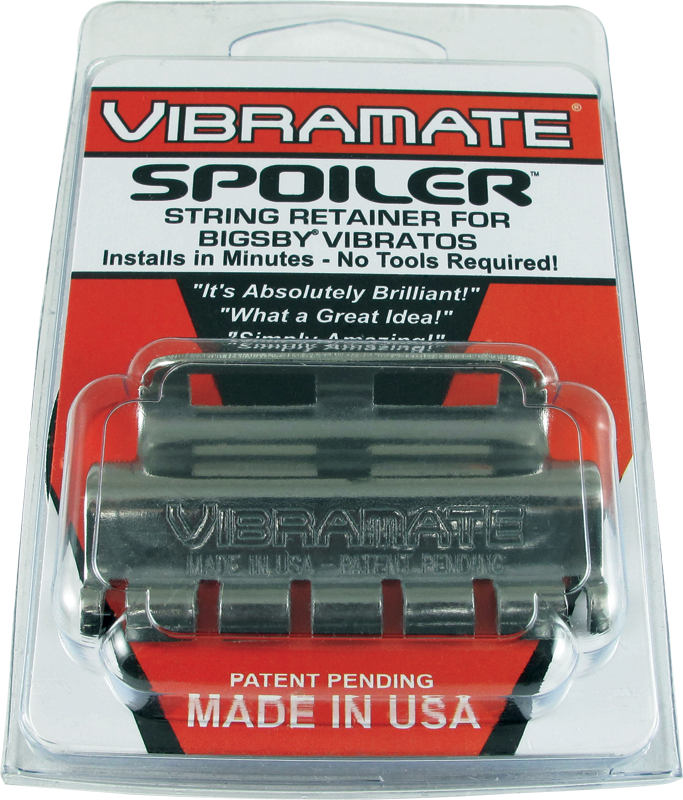 Manufactured in the USA from high-grade Stainless Steel, the Vibramate String Spoilers are available in 3 finishes; Silver, Gold and Black. 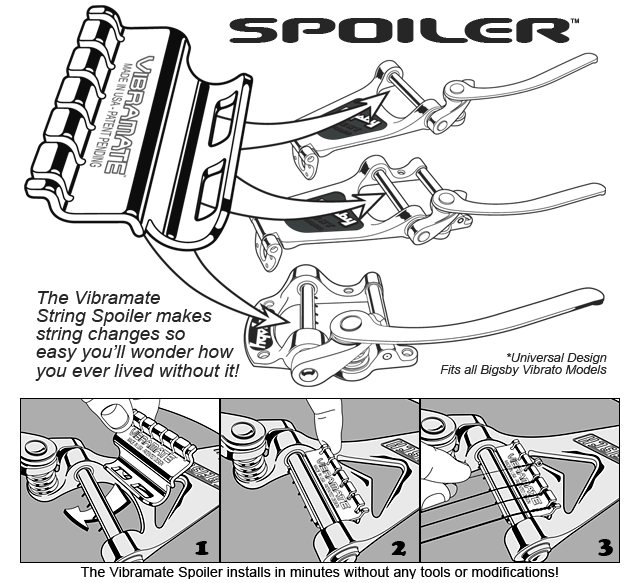 Universal fit makes the Spoiler interchangeable with all of the Bigsby vibrato models. 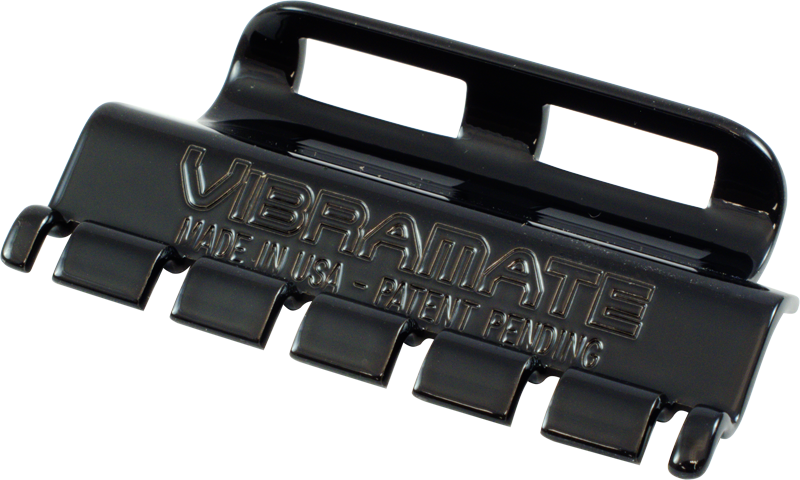 Be sure to follow the mounting instructions to prevent damage to your instrument. Black P-GVSR1-B Packaging Dimensions 4.125 in. x 2.652 in. x 0.72 in. 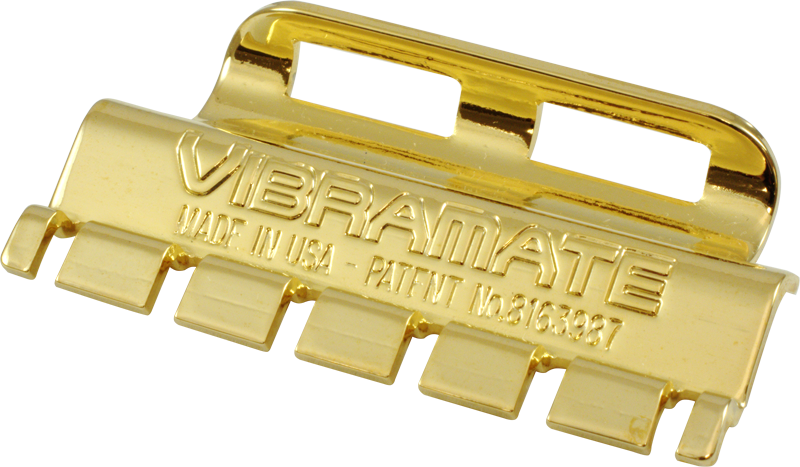 Gold P-GVSR1-G Packaging Dimensions 4.125 in. x 2.625 in. x 0.72 in. Stainless Steel P-GVSR1-S Packaging Dimensions 4.125 in. x 2.625 in. x 0.72 in. All models Weight 0.07 lbs. 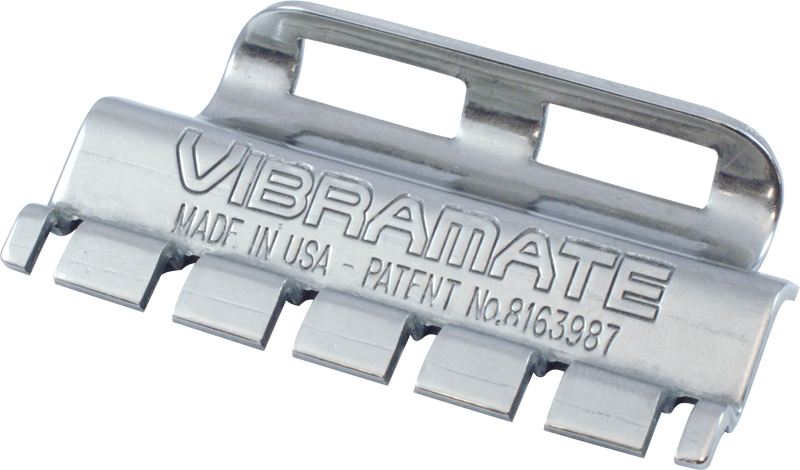 The spoiler by vibramate has become an absolute necessity on my Bigsby equipped guitars! 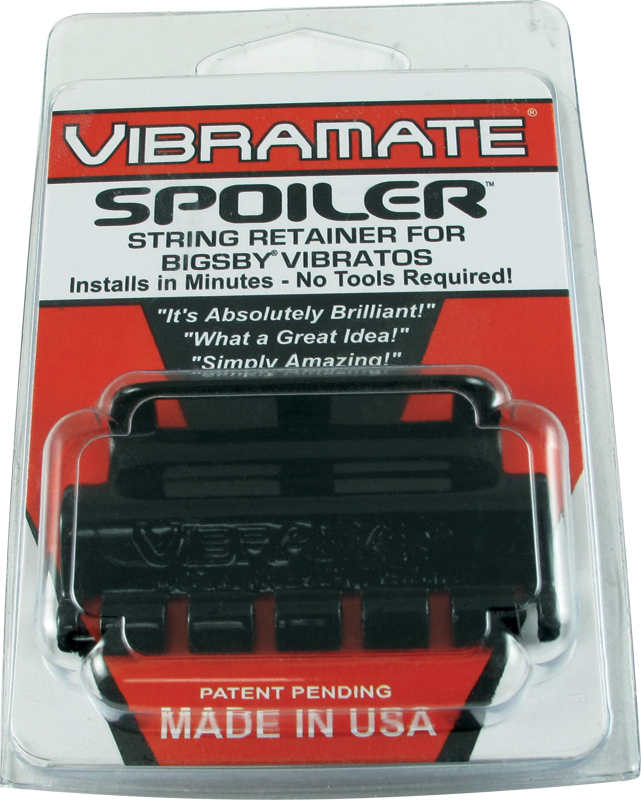 Makes changing strings a whole lot easier and allows for a quick change should one break mid-set.